For businesses with massive volumes of data and digital assets, graph databases provide a better way to make data available to users, query it, manipulate it and analyze it in real-time. And in the not so distant future — forecast by UBS in their recent Davos paper “The Fourth Industrial Revolution” — a world of “extreme connectivity” where intelligent software and even robots become standard, graph databases will leapfrog the abilities of other database technologies. Relational databases still do run many core functions. They work well for simple HR, technical support and IT operations applications. But their lack of flexibility means that they’re often not equipped to deal with data that is rapidly changing not only in content, but in structure. They can lack the speed and scalability users now demand of their enterprise products. Rather than using rigid tables to collect and structure information, a graph database structures data as objects with direct relationships to other objects. This provides flexibility in structuring data. It also prevents your application from having to continually scan for individual objects in massive tables — and that means big increases in speed. Secondly, enterprise architects who can bring this “connected relationships” understanding to their organization’s IT and business strategy can provide more accurate and rich information about the business. Ultimately, they are able to give more nuanced, detailed and superior advice. The structure of relational databases behind other enterprise architecture tools can become a (potentially unsteady) “stack” of multiple intermediate tables. Querying this structure is a slow process. The database can also be difficult to maintain or edit. When an EA has to use a relational database back-end to draw an architecture, what they are doing is squeezing a complex structure into a single table or rigid set of tables. Both detail and structure are often lost or altered. The node itself is stored “far away” from the attributes. This leads to performance hits when re-assembling the data, and makes the data harder to query and understand. 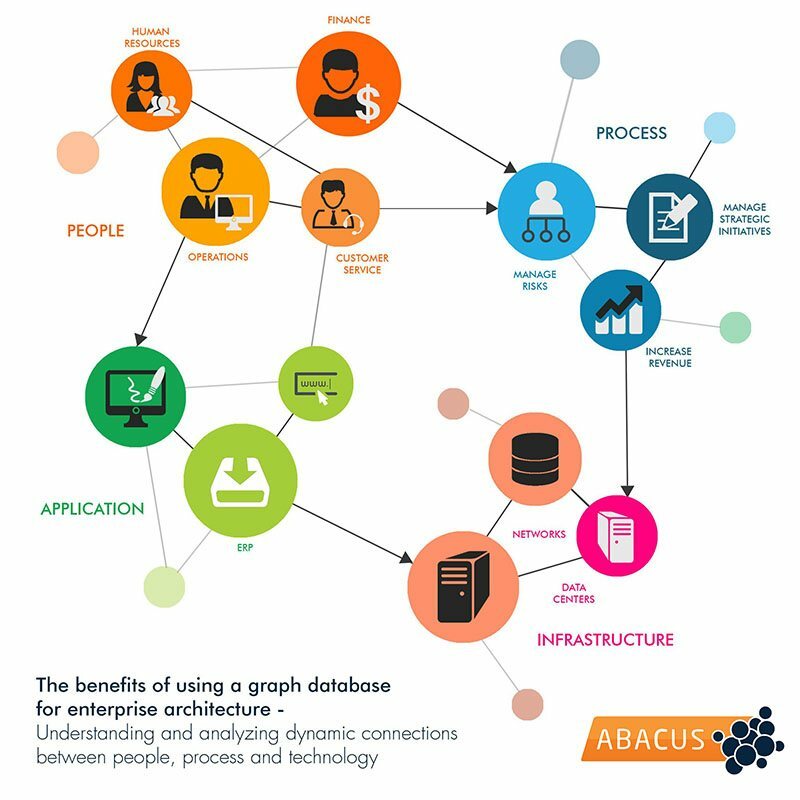 The ABACUS enterprise architecture tool has used graph database technology for over 15 years. 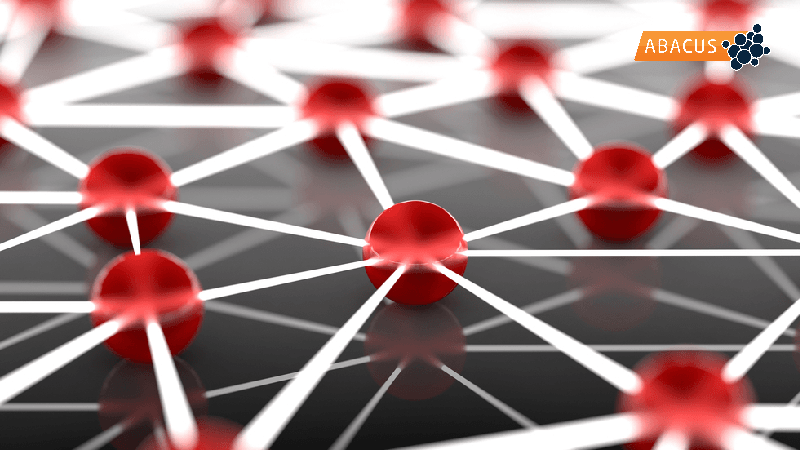 Using an “enterprise graph” (an EA repository based on a graph database) gives enterprise architects the tools to manage the extreme data volumes and extreme connectivity of current and future businesses. We’ve designed the ABACUS enterprise architecture tool so you can move quickly to import your data, deliver value, provide advice and guide the business towards its goals. Test drive ABACUS today.